Found 5 file extension associations related to BERNINA embroidery software and 1 file format developed specifically for use with BERNINA embroidery software. 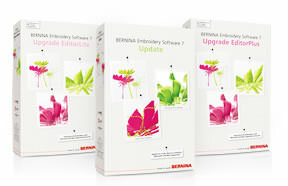 BERNINA Embroidery Software a New Dimension of Creativity. Get creative turning embroidery dreams into reality with great new threedimensional (3D) features like PunchWork, StumpWork, Trapunto and Raised Satin. The new DesignerPlus Embroidery Software includes a range of 3D effects for unique surface embellishments. Create embroidery from photo or picture - Embroidery digitizing function. If you need more information please contact the developers of BERNINA embroidery software (BERNINA International AG), or check out their product website.